Spring is in bloom in historic Cape May. That means it is once again time for the 30th Annual Great Cape May Footrace. This annual Cape May attraction is sponsored by Cape May Chamber of Commerce. The run offers great scenery along the beach passing bed and breakfast, guest houses, hotels, and private residence while listening to the waves crashing on the shore. The aesthetics in Cape May are unique. Runners are treated to a historic Victorian seaside resort that has a variety of painted lady. Some of these are private homes while others are bed and breakfast offering lodging to travelers. This 5 k run may not compete with high level running competitions but it will be one of the most beautiful races. Fans and racers can equally appreciate what Cape May has to offer. After the work is done racers can enjoy a lovely afternoon of strolling the Washington street mall, taking a walk down on the beach, riding in a horse drawn carriage or dining in one of our fabulous restaurants. 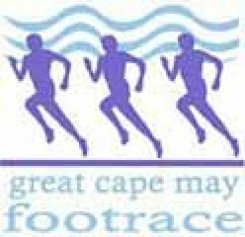 If you enjoy a run then try the Great Cape May footrace May 16th @ 9:00am at Convention Hall. There are two races a 5k and a 10k. If you would like to sign up a link is provided below. If you need accommodations for the Great Cape May Footrace try the Bacchus Inn Bed and Breakfast at 609.884.2129. The Bacchus Inn bed and breakfast is located just 2 blocks from convention hall where the Great Cape May Footrace begins. This entry was posted on Wednesday, May 6th, 2009 at 11:05 pm	and is filed under Uncategorized. You can follow any responses to this entry through the RSS 2.0 feed. Both comments and pings are currently closed.